Today in Denver, additive manufacturing mainstay 3D Systems is making several major announcements as the company looks to further differentiate itself in the market — for all the right reasons. Coming off a weak third quarter performance, the company could use a win right about now, and the offerings announced today showcase 3D Systems’ longer-term strategies. Included under the umbrella of announcements that 3D Systems says will “usher in the next generation of additive manufacturing solutions for customers” are new production plastic and metal materials, 3D printing platforms, cloud-based software, a professional services group, and work with two new partners. 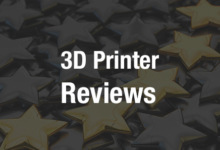 We have more details on all of these announcements directly from the source, as I am on-site in Denver ready to learn first-hand about these new offerings from 3D Systems President and CEO Vyomesh Joshi (VJ) and a team of executives. “We believe these announcements change the game for our customers and the industry by providing customized solutions to help customers overcome obstacles to adopting additive manufacturing. We believe the innovation and capabilities we are announcing today will significantly accelerate our strategy to help customers move from prototyping to production, vertical to vertical, bridging the chasm between traditional and additive manufacturing,” said VJ. 3D Systems is working to enhance its portfolio to provide what they see as “the broadest set of additive manufacturing software, services, and technologies in the industry.” The ambitious company continues to target customers and applications across a wide variety of verticals, focusing on breadth of offerings to secure their place in the lead of the additive manufacturing industry. All four models of Figure 4 come integrated with the company’s 3D Sprint and 3D Connect software. 3D Systems is launching 15 materials for industrial and dental applications with the systems, including those for production parts, including rapid prototyping, elastic, clear, tough (functional) and high temperature consumables. System prices will range from about $25,000 to more than $1 million. For more details about these latest announcements, I turned to VJ and a first-hand look; read about the on-site experience here.